au milieu des vignes et d'une oliveraie. Ses chemins privés boisés permettent de se promener au calme. Les chambres d'hôtes offrent une ambiance de beauté et de luxe grâce à ses grands espaces. tout les éléments sont conjugués afin de composer un séjour d'exception. Cinq très grandes suites avec une décoration raffinée, disponibles à la semaine où à la nuit. Femme de chambre inclus . Prestations hautes gammes. Repas raffinés. Organisation d'évènement à la demande. 10 minutes de gare la TGV des Arcs-Draguignan et de l’échangeur d'autoroute Saint-Tropez, 50 minutes aéroport de Nice et Marseille. This exceptional property with it's vineyard and olive-grove is situated in the middle of the Provence, on a hilltop with a view on Saint-Raphaël bay. Discover the enchanting frame of a postal station of the 18th century, surrounded by a 150 acres private parc. Many pathways offers the opportunity of quiet walks in the shade of the pine forest. Five spacious rooms are available, all designed in a unic style, allying confort and beauty. The large swimming pool with its pool house, the tennis court, sauna, solarium with a view on the wineyard and many other activities promise an exceptional journey. In the evening, nice Provençal dinners are organised in the pool house. A true garden of Eden where privacy, luxury and charm are combined. 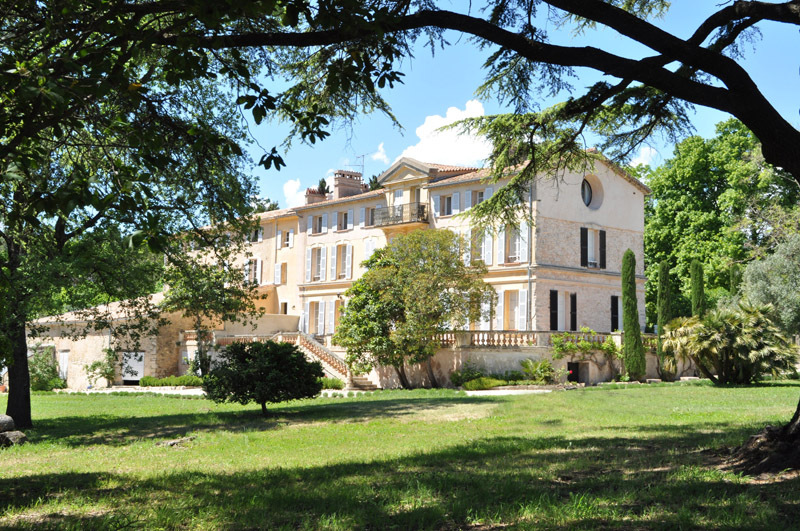 It is very easy to access the property by Saint-Tropez highway exit on the A8. At only 15 minutes from Les Arcs-Draguignan rail station and 50 minutes from Nice international airport. We kindly invite you to discover this unique property.